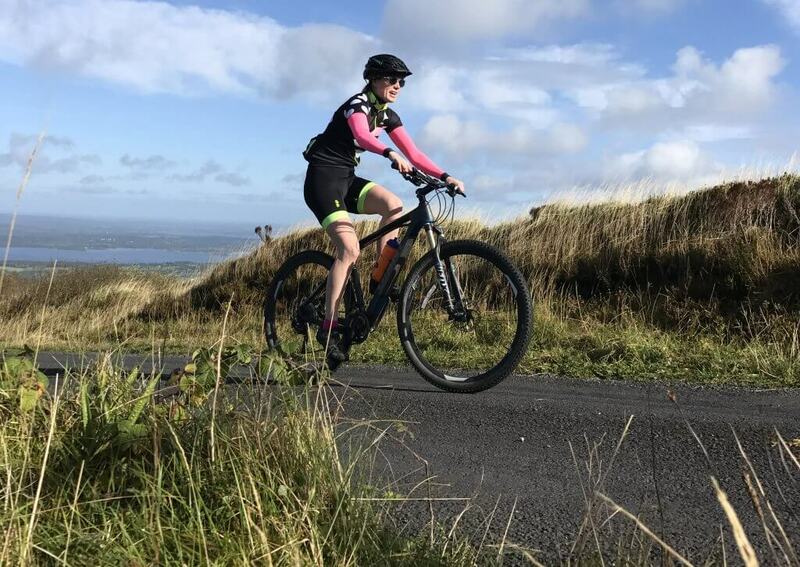 Bikes, hiking boots, SUPs and kayaks… Roisin Finlay recently wedged the Outsider wagon full of kit and hit the road for a long weekend exploring the latest and greatest addition to the Waterways Ireland family – the Lough Derg Blueway. 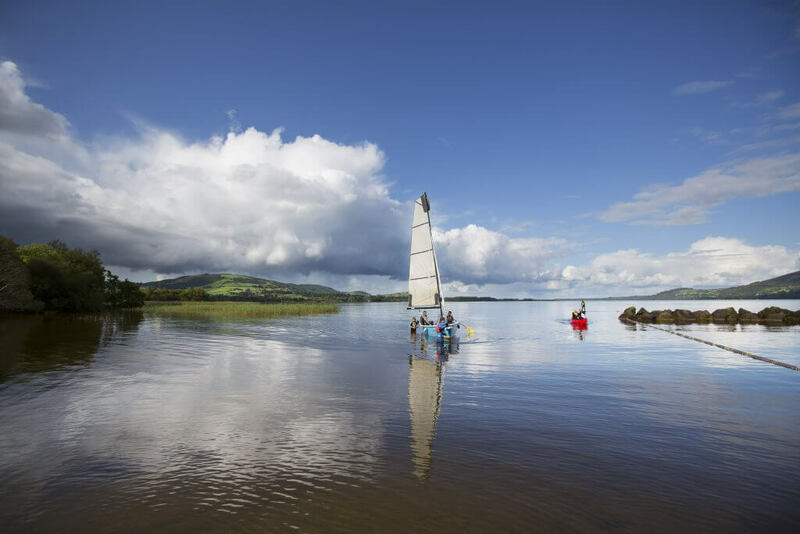 Bordered by counties Clare, Tipperary and Galway, this lake might just be the perfect playground – both on and off the water – to spend a week or more with your other half, your gang of mates or your kids. But be warned, you might just fall in love with the place and never want to leave. A project that has come about thanks to collaboration between Co Councils in Clare, Tipperary and Galway, as well as Waterways Ireland, the Department of Rural and Community Development, and the communities and tourism providers in the three counties that ring the lake, the Blueway concept aims to encompass all there is to do, see and experience on the lake, but also off the lake, on the shores, mountains and trails that surround it. And in the stunning array of gorgeous little towns that ring the waters. Like Portumna, Killaloe, Ballina, Dromineer, Terryglass, Mountshannon and Garrykennedy. Quaint harbours, wooden jetties, idyllic swimming spots and cosy pubs are here in abundance, making it the ideal location for those wanting to squeeze every drop of fun from their free time. the centre of the Lough Derg Blueway concept is the 21 paddling trails on the water. Combined, they add up to a whopping 160km of watery routes to be explored. Each section ranges in length and difficulty. If you’re a seasoned paddler with your own kit, you’ll be spoiled for choice but there are also many sections that are perfect for those who are new to paddling. Take the Black Lake Loop for example. It’s a sheltered 1km round trip near Coolbaun in Tipperary on the east side of the lake. Or if you want a bit more of a challenge, the Portumna Forest Park Paddling Trail is 6km each way. There are literally tonnes more to choose from all over the lake, so visit bluewaysireland.org to download the full range of paddling trail options. If you’re a newbie, we definitely recommend hooking up with a local provider to get going. 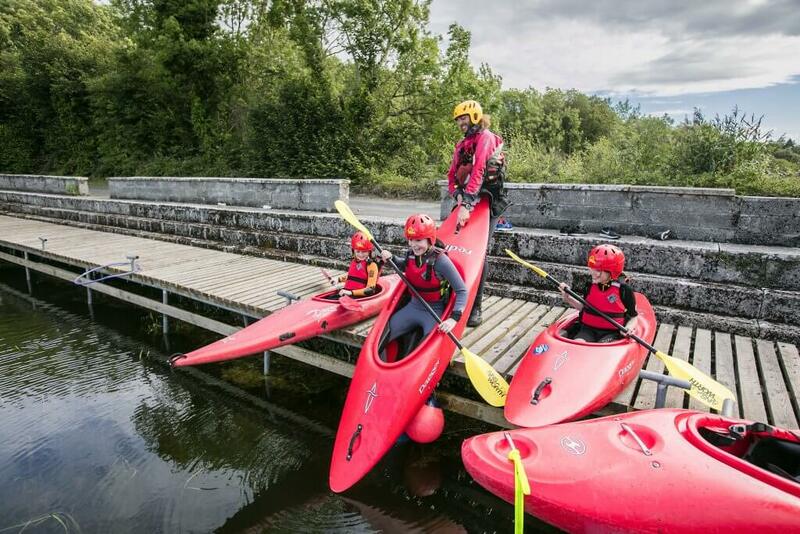 We head out on beginner-friendly sit-on-top kayaks with Jim from UL Activity Centre, located at Twomilegate in Co Clare. The centre, which is just outside Killaloe, specialises in looking after groups (they even run hens and stags). We watch a group of teenagers having the craic on their water-side high ropes course before having a go on their giant stand up paddle board (SUP). That’s on the bucket list for our next adventure. With the sounds of their laughter and exuberant squealing fading, we head over for a serene kayak on the calm lake, moving in and out of the rushes and simply bobbing, absorbing the peace of the wide open water. Lough Derg offers 13,000 hectares of clear water to be exact so that’s a whole lot of nature and serenity! lone heron flying off and flapping its cumbersome wings as we intrude on its territory, and the odd cormorant diving for fish and sending ripples out on the glassy lake. In this peace and stillness, it’s hard to believe that just a 20-minute drive away you’re on the rushing world of the M7 which will have you in Dublin in less than two hours, in Limerick in 30 minutes and Cork (on the M8) in less than two hours. 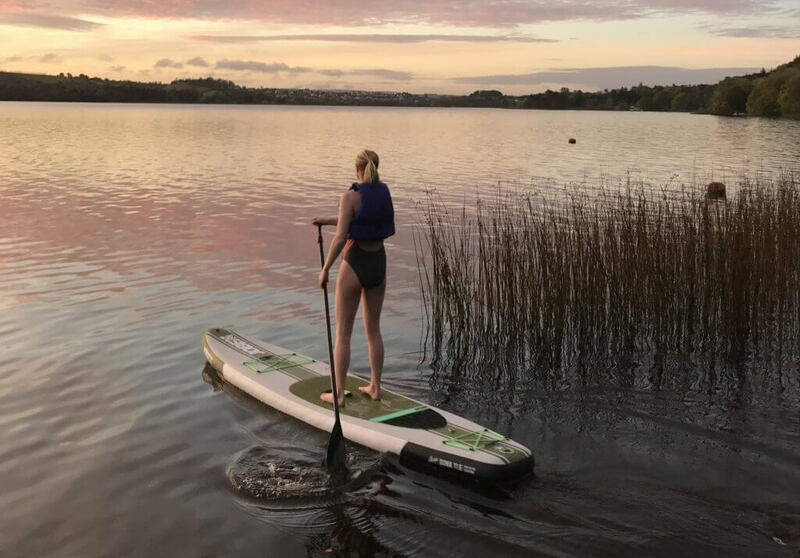 Back on dry land we chat with Andree, the marketing manager at the UL Centre, and she tells us about some hidden gems on the lake. She is part of a group of dawn swimmers that take the plunge on a daily basis in summer at nearby Ballycuggaran beach. “Visitors and blow-ins are welcome,” Andree says. “We swim the buoys, but you can swim as far as you like. We have a really active triathlon club here so lots of the guys train in the lake.” The lake has two more blue flag beaches at Mountshannon and Portumna and a number of other launching spots for wild swimming enthusiasts. The next morning, keen to take Andree up on her advice, we get up early and team up with a friend Ruth who lives locally, to walk up to the top of Moylussa (530m). 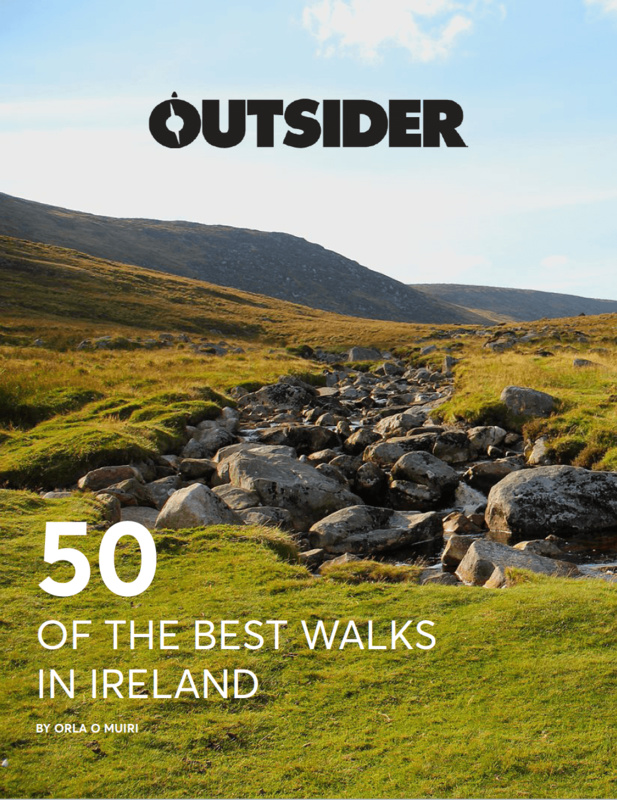 The hike starts just a few minutes’ drive from Killaloe. We start walking on tiny roads with grassy centres, passing lush farmland and fields dotted with old native trees, then we move onto forest track and finally a boardwalk that traces across the bog to the top. Andree is not lying. The views are spectacular and we ogle the lake and plan the rest of our trip. I add all of the above to my long and growing Lough Derg Blueway bucket list but first I have a date with Reuben from Lough Derg Watersports, a local company that specialises in kayaking. For years, I have been trying to catch a glimpse of the magnificent white-tailed sea eagles that have been reintroduced to Ireland and this might just be my perfect chance. Reuben has told me that they are nesting near the water’s edge by Portumna Forest Park. He has suggested that we might paddle from his Kilgarvan base in that direction. Sadly, while we do get out on the water, the wind doesn’t play ball so an open paddle across the lake isn’t a runner for a kayaker of my level. I’m determined that it will be more of an option next time so I love that Reuben teaches us various skills and paddle strokes as we go. The weather conditions are a real reminder of why heading out with a qualified guide is a very good idea. After our paddle, we change and shower at the facilities provided for water and other recreational users at Kilgarvan (there are many of these around the lake and you’ll just need a smart card from one of the local shops to gain access). Then we refuel at Blas café in Portumna with freshly baked scones and pots of steaming tea before heading to the forest park. The forest park offers four walking trails, two mountain bike trails, an orienteering loop and a wheelchair- and buggy-friendly orienteering loop. The mountain bike trails are very gentle, weaving their way through beautiful forest and onto the shores of the lake. And I get my second chance to try and spot the eagles at the bird hide here. We’re not in luck though so decide to head back to base and reward ourselves at the Piper’s Inn. With its rustic stone walls, roaring fires and scrumptious menu, it is a great spot to plan the next day’s bike ride. From the village up to Tountinna (457m), it’s a steep slog, but thankfully the views across the lake provide ample distraction. Once at the top, we stop to catch our breath. In the distance, we can see the tombs of the Leinstermen perched over the lake with a trail running out to it. We muse that even though it’s not an official mountain biking trail, it would make an excellent off-road spin. In fact, we’re told by several friendly locals that there is loads of great riding in the area. But, like getting a glimpse of the sea eagles, that will have to wait for another visit. For now, we have a date with the lake where we have promised ourselves an SUP and a swim. It’s heavenly paddling on the water, mesmerised by a boat out fishing serenely on the twinkling lake as the sun dips. I’m toasty by the time I strip off my wetsuit and submerge myself in the cool water. I feel reborn and think to myself that swimming in cool clear water really does have a baptismal quality. I’m certainly a convert to Lough Derg and its wonderful Blueway. Go chocolate tasting: Located on the shores of Lough Derg at Tuamgraney, the Wilde Chocolate factory is well worth a stop. Offering free chocolate tastings of its 80 different flavours and a glimpse into the factory itself, it’s a great place to while away an hour or so. Buy a scarf: If you’re brr after your day at Lough Derg, pop into McKernan Woollen Mills in Tuamgraney. Run by Irishman Eugene and his German wife Anke, this mill uses amazing antique 19th century Hattersley looms. Be wowed by Brian Boru’s Fort: It’s very hard to put a finger on what makes this ring fort feel so special. But as you stand in the large hollow with ancient trees standing on the circular banks that surround you, you will feel the magic. The fort is just a mile from Killaloe and overlooks Lough Derg just as the lake narrows into the River Shannon. Visit Holy Island: If heritage is your thing, take a boat trip out from Mountshannon to the monastic site on Holy Island with local historian Ger Madden where you’ll get to explore the six ruined churches, round tower and a bargaining stone where marriage vows are still renewed. You might also spot the sea eagles here too. Piper’s Inn, Killaloe. With its rustic stone walls, roaring fires and scrumptious menus, you’ll be hard pushed to find a better option for dinner! Camping is also offered on site for those wanting to stay late into the night without the worry of a drive home. Larkins Pub, Garrykennedy. This old-world pub is located right on the shores of Lough Derg. 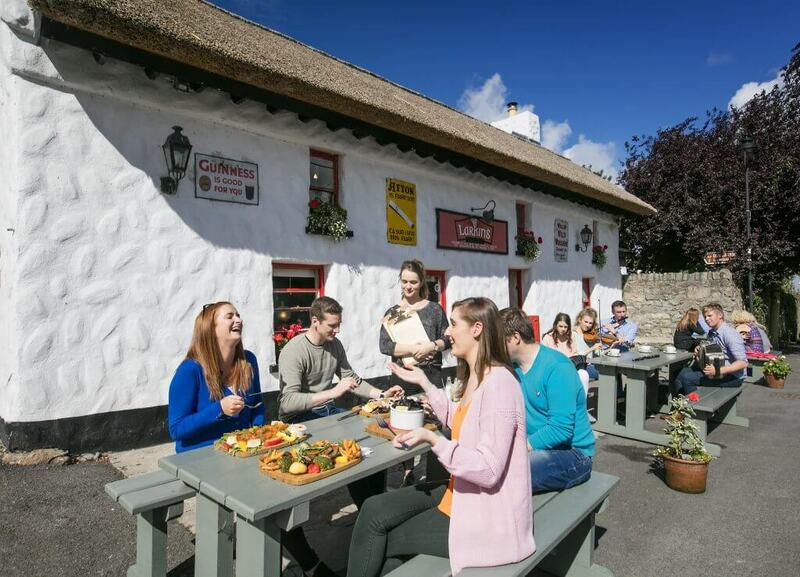 Offering hearty meals and trad music in the evenings, a good atmosphere is always guaranteed. The Derg Inn, Terryglass. This is a quirky yet rustic pub with friendly staff and a great atmosphere. It serves up some damn tasty pub grub. The Wooden Spoon, Killaloe. Offering hearty soups and hot-pots, and the most delicious array of home-baked treats, the Wooden Spoon in the centre of Killaloe is the perfect place to warm up after a plunge in the lake. Blas, Portumna. Serving homemade soups, sandwiches, hearty main meals and mouth-watering home-baked goods, Blas is well worth a stop. It’s also very cyclist friendly. Pop’s Dream Airbnb, Whitegate, Co Clare. Like something out of a fairytale, this little slice of paradise is a self-contained boathouse, complete with its own waterside veranda and BBQ. Price: €80 per night. The Killaloe Hotel, Killaloe, Co Clare. The newly renovated bike friendly hotel is a great spot if you are looking for a bit more luxury. The beds are supremely comfortable, the staff are exceptionally friendly and the bar serves up some top-notch grub. Price: From €79 per night. PodUmna, Portuma, Co Galway. If it’s a bit of craic you’re after, then PodUmna is for you! In the heart of Portumna, this quirky campsite offers three glamping options – a shepherd’s hut, pods and a bell tent. It’s perfect if you are planning a weekend away with a big group of mates. Price: From €80 per night. 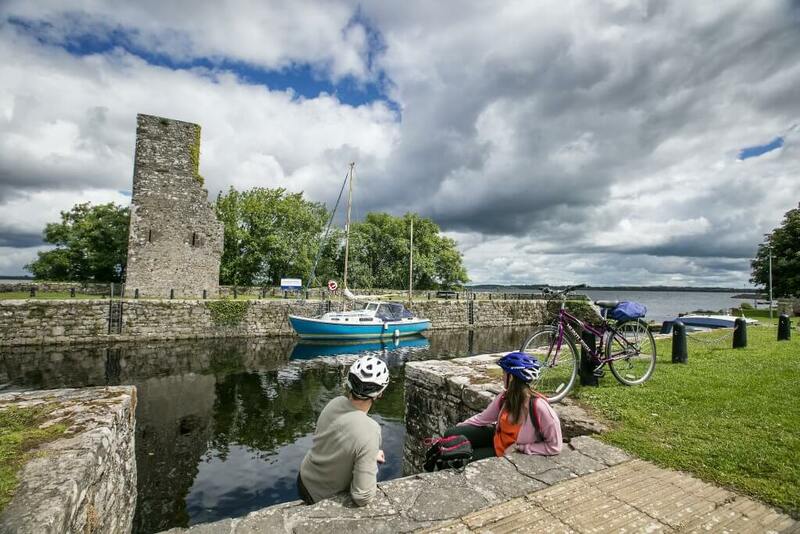 For more information on Lough Derg and the Lough Derg Blueway, visit: Blueways Ireland & Discover Lough Derg.